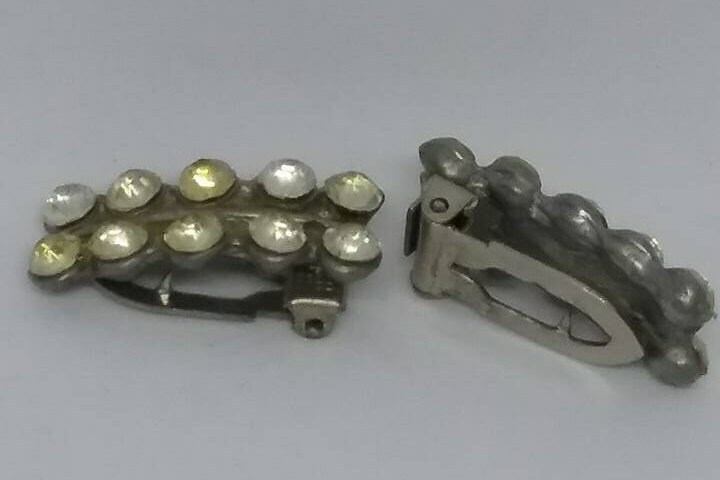 Vintage Rhinestone Dress Clips. 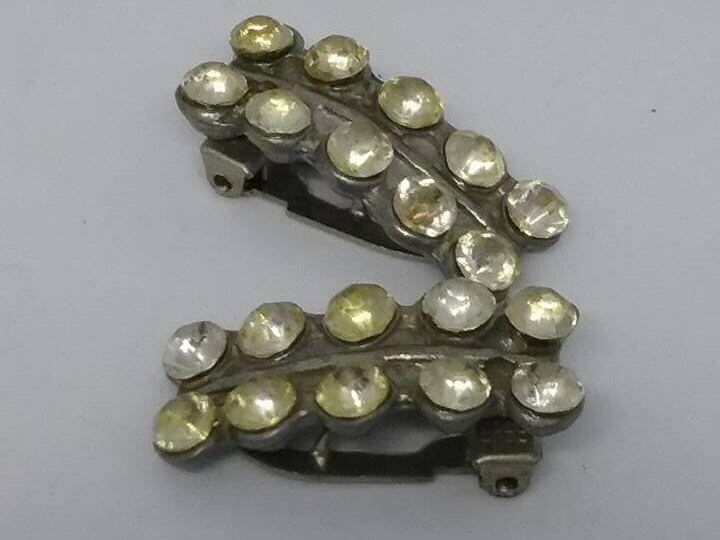 1930's wedding/bridal, set of two, large rhinestone dress clips. 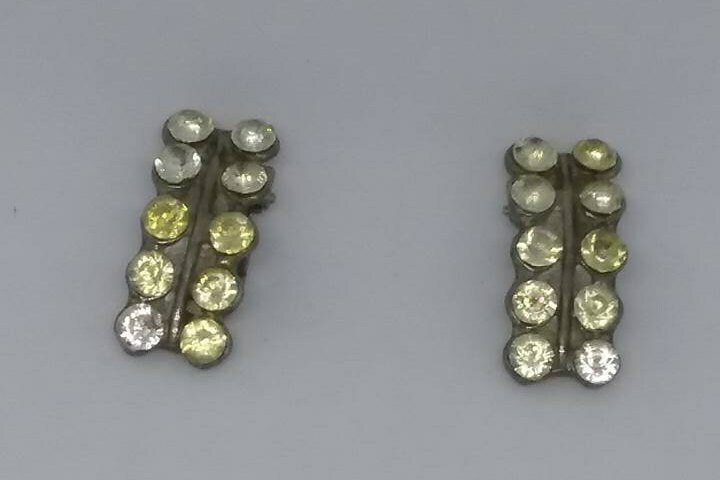 10 large rhinestones set in two sets of five in a long rectangular shape. 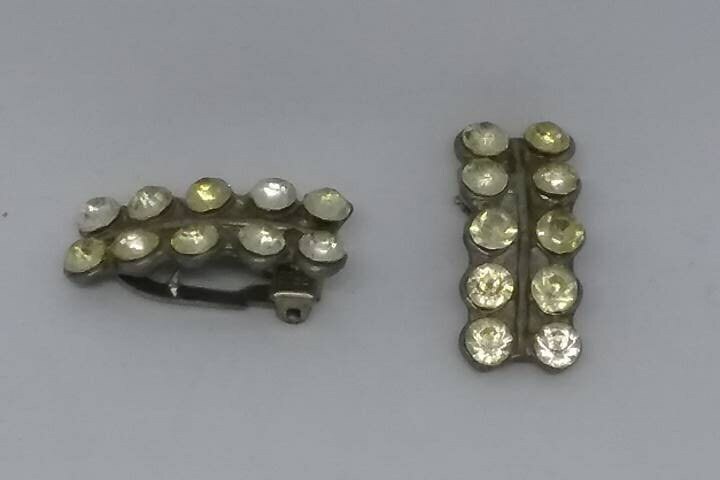 The rhinestone clips are still magnificent for their age, and does show appropriate wear from use over the years. 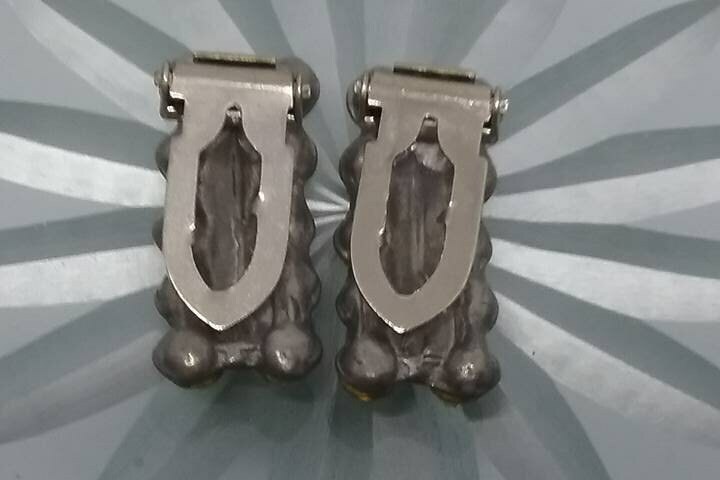 Very good-excellent vintage condition. Beauty could still be found during the years of the Great Depression. 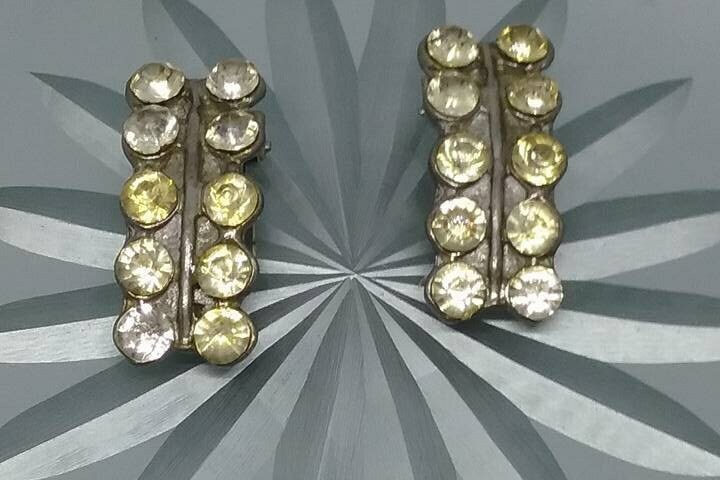 *Buy vintage for Christmas...they will love it!